XSL Speed Reporter: Is There a Conspiracy Behind Reutimann's Martinsville Caution? Is There a Conspiracy Behind Reutimann's Martinsville Caution? The Martinsville Speedway hosted a classic short track event featuring the NASCAR Sprint Cup Series at its very best. Sunday's Goody's Fast Relief 500 involved many of the greatest elements of auto racing including tight competition and edge-on-seat action. In the late moments of the Martinsville race, big questions also circulate on whether their was a juicy conspiracy alive for sparking headlines aside from the victor of the NASCAR Sprint Cup event. On lap 497 of the race, suspense built when the Stewart/Haas Racing-owned #10 Chevrolet came to a stop on the frontstretch. A vehicle piloted by David Reutimann, the #10 Accell Construction Chevrolet stoppage on track came after several laps where the stock car was off the pace with the field. Bringing a yellow flag to the NASCAR Sprint Cup field with just 3 laps left in the regular scheduled distance of the 0.526-mile short track race, the caution erased what was almost certain for Hendrick Motorsports. Along with frustrating the Hendrick Motorsports team, Reutimann's stalled car on the race track attracted the ire of many drivers, teams and fans. Arguing the caution was unnecessary since problems on the #10 Chevrolet present laps before should have drawn Reutimann to pit road, many drivers weighed in on the climax-inducing moment in the Goody's Fast Relief 500. On the Twitter feed of USA Today's auto racing writer Nate Ryan, is posted a comment quoting Dale Earnhardt Jr. [Dale Earnhardt Jr., on David Reutimann stopping on track: "I'd like to hear an excuse. Because I'm sure it would be laughable."] Ironically, Dale Earnhardt Jr himself was a not-so secretive perpetrator of a caution years ago at Bristol Motor Speedway. Implying through radio communications that he spun intentionally on track to draw a yellow flag, he was strictly penalized by NASCAR for the deception. Despite being several laps down to difficulties earlier in the event, David Reutimann and the #10 Chevrolet fielded by Stewart/Haas Racing race for the all-important top-35 position in NASCAR Sprint Cup Car Owner points was feverish at the end. With only each position on track worth a point, the #10 Chevrolet competed hard for an invaluable position on the race track that would not have been initially recognized. As problem began the plague David Reutimann's machine in the remaining miles of the Martinsville Speedway race, At the end of the race, the #10 car of Stewart/Haas Racing is just 1-point out of the top-35 in the overall car owner standings behind the #83 Toyota of BK Racing (ironically Reutimann drove the team's #93 car for in the 2012 Daytona 500). Classified 35th in the final running order, the #10 Chevrolet finished just a lap ahead of the #18 Toyota of Kyle Busch but lost a position to the #36 car of Dave Blaney when the Stewart/Haas Racing car stopped one lap short. Outside of the top-35, Stewart/Haas Racing's efforts to put the #10 car into a guaranteed spot for NASCAR Sprint Cup races takes on increased significance when Danica Patrick is set to drive vehicle. With sizable investment on Patrick's 10-race tour for 2012, there was some major motivation for attempting to coast for another two laps. Apart from the situation specifically for the #10 team in the NASCAR Sprint Cup Car Owner points standings, there could also be suspicion to one of the beneficiaries to the lap 497 caution. Team co-owner Tony Stewart's #14 Chevrolet had just fallen a lap down outside of the top-10 prior to the David Reutimann's car stopping on the short track. When the caution flew, Stewart's own car was the recipient of the free pass back onto the lead lap. By virtue of regaining the lead lap positioning thanks to David Reutimann's car stalling, Tony Stewart was able to claim 7th place at the finish of the Goody's Fast Relief 500. While coincidental, it would be downright absurd to engineer such as move since Tony Stewart was firmly in the top-35 as well as the early running for the NASCAR Sprint Cup Chase contention. Called to the NASCAR official's hauler at the end of the race, Reautimann and the #10 car team is not immediately suspected of any deliberate or unsafe actions. 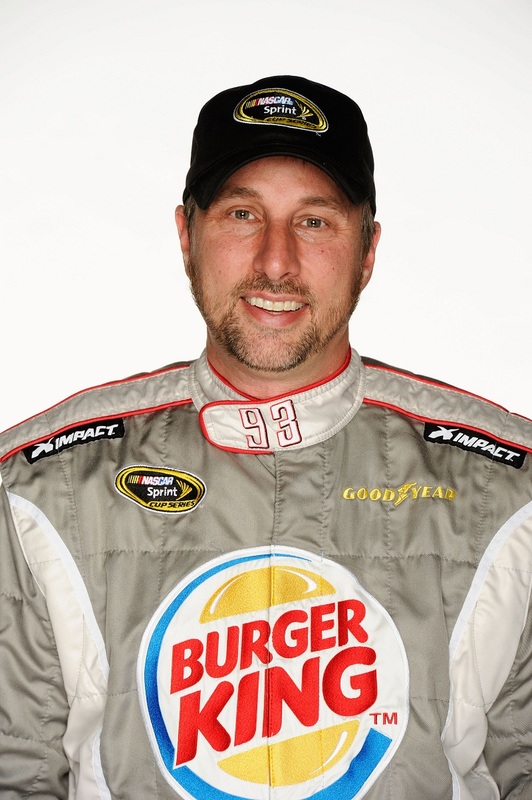 In his own defense on his Twitter account, David Reutimann posted "I didn't just freakin stop. The motor blew up. I can't help it. Was trying to get to pit road. If it would run I would have." A two-time winner in the NASCAR Sprint Cup Series, David Reutimann's reputation on the race track has been particularly strong as a clean, fair competitor. Entering the Sprint Cup Series in 2007 with Michael Waltrip Racing's upfront Toyota effort, Reutimann has been dedicated to racing 2012 among BK Racing and Stewart/Haas Racing's #10 car. On Twitter after the race, Denny Hamlin commented, "Why is everyone so pissed at Reutimann? His car was broke. Wasnt the 5 broke too and knew it but stayed out till it blew up anyway?"